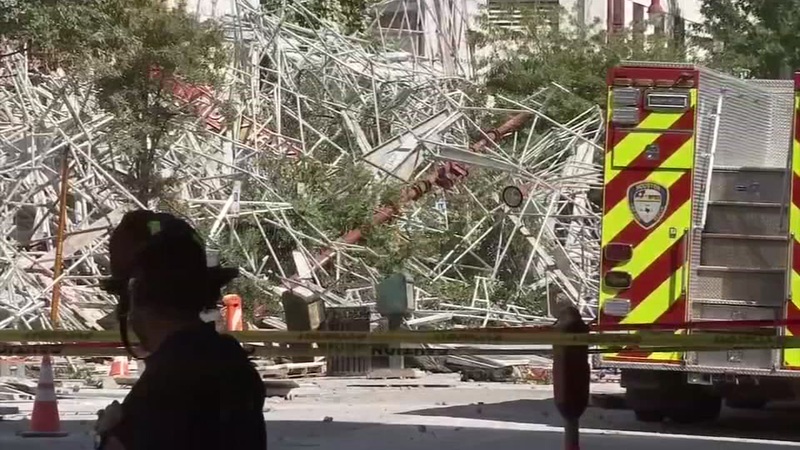 A witness took video of the downtown Houston scaffolding collapse that injured six construction workers Friday. 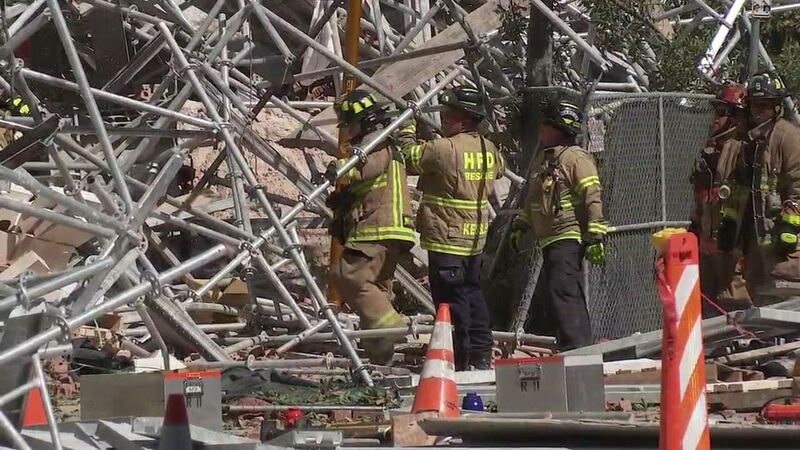 HOUSTON (KTRK) -- At least six construction workers were injured Friday in a huge scaffolding collapse in downtown Houston. 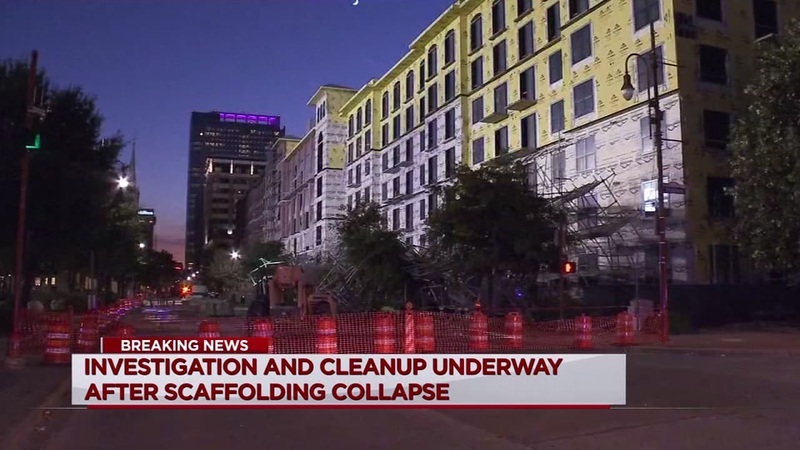 The accident occurred just after 11am at a luxury apartment building under construction at 300 Crawford at Commerce, near Minute Maid Park. "I heard like a crack and boom. It was like an explosion but not too hard. It sounds like something is cracking, but a lot ... and I could see it coming down that fast," witness Ruben Flores said. HFD Captain Ruy Lozano says six workers were pulled from the rubble and have been transported to area hospitals. Capt. Lozano describes the injuries as non life-threatening, but significant. This mess isn't going anywhere for a while.. In fact, it could take all weekend to clean up. And there's also the investigation into what went so terribly wrong. Witness Julio Zavala is an electrician and was at work inside the building on the first floor as the scaffolding collapsed. "I saw one guy on the floor, bleeding from his head," said Zavala. "One of the pipes hit him on the head and he was on the floor. I helped him out." Zavala says instead of running away from danger, he ran toward it and helped pull that worker to safety. "My reaction is to help. I know there's people hurt. I'm gonna want to help them out you know," he said. 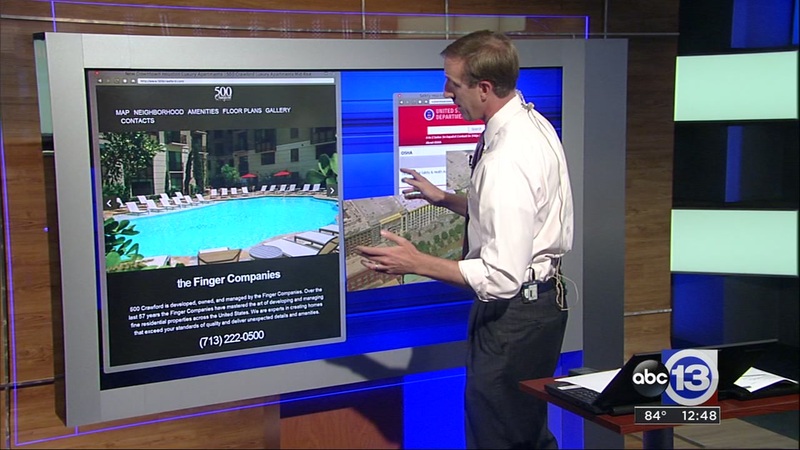 Ted Oberg on the building at the center of Friday's building collapse. Other eyewitnesses described a thick cloud of dust, appearing almost like smoke in the moments following the collapse. Father Paul Felix was just arriving to prepare for mass at the nearby Annunciation Catholic Church and tried to help the wounded before fire crews arrived. "Our hearts go out to them," he said of the victims and firefighters "I'm gonna pray for them." HFD says about 200 workers were on scene, but they're still trying to figure out why the structure collapsed. The Finger Companies, which owns the building, issued the following statement: "We are monitoring the situation very closely and working alongside authorities as we try to determine the cause of this accident. In the meantime, we are grateful to the first responders on the scene and praying that everyone is OK."
Houston Fire Department units arrived on the scene within three minutes of the report. HFD had more than 30 units on scene including several heavy rescue units. We introduced you to the fire department's technical rescue team last month. They're called in for high risk, tactical rescues. Here's a looks at how their training came into play with the scaffolding collapse. OSHA inspectors will be in charge of the investigation and will ultimately determine what caused the collapse. A portion of the scaffolding is still standing, though it's been secured by fire crews. It's a lot to clean up, but engineers and clean-up crews plan to start that work early in the morning, if not sooner. We're told the scene should be completely cleaned up by Monday.